As early as 1992, the Hubble Space Telescope was used to observe the central region of nearby elliptical galaxy M32, one of the satellite galaxies of the Andromeda Galaxy, M31. 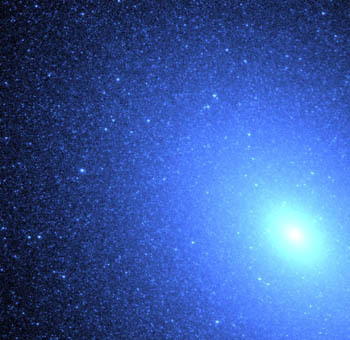 Within M32's nuclear region, astronomers found a central concentration of stars, with an invisible central mass weighing 3 million times the mass of the Sun. 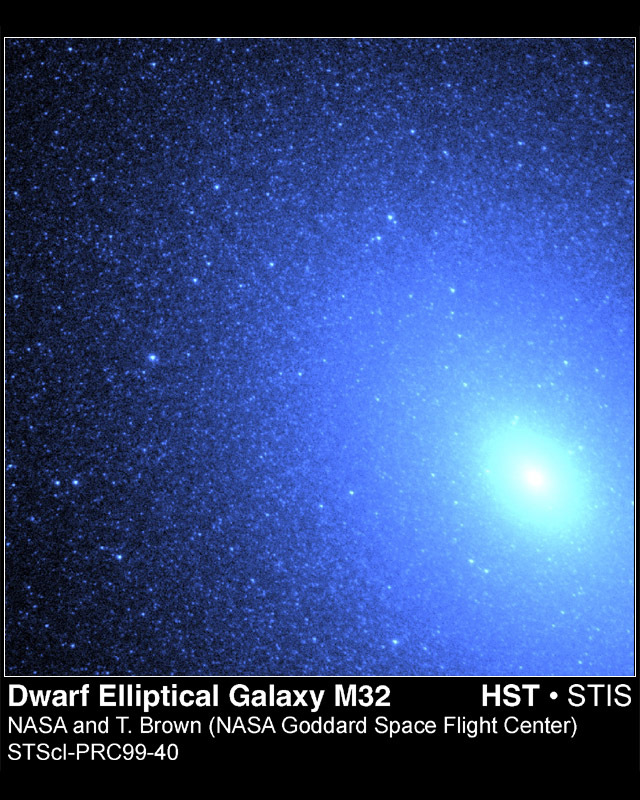 The Hubble images, obtained before HST's repair in 1993, show that the stars in M32 become extremely concentrated toward the nucleus. 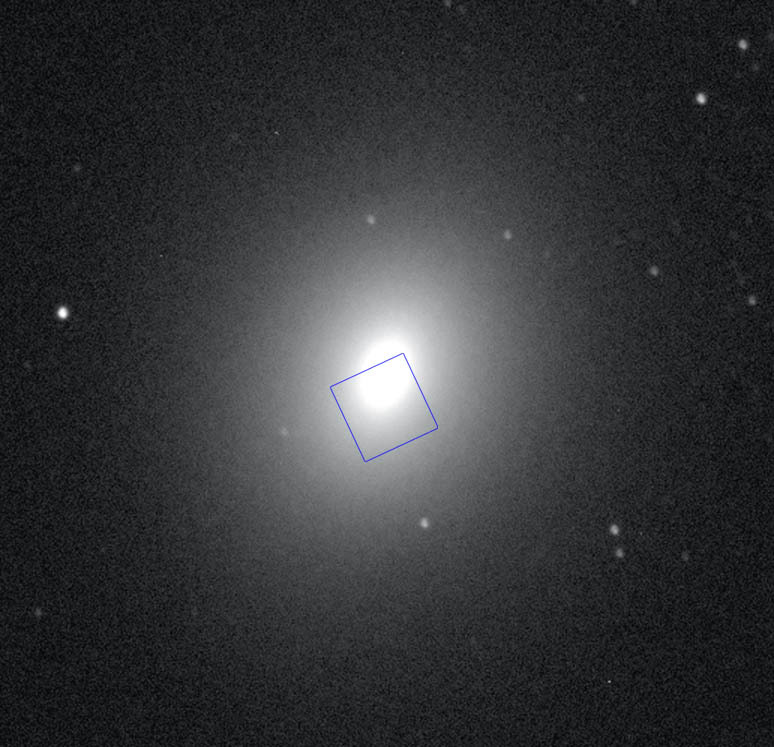 This central structure resembles the gravitational "signature" of the large central mass, of which many astronomers believe it is a massive black hole. 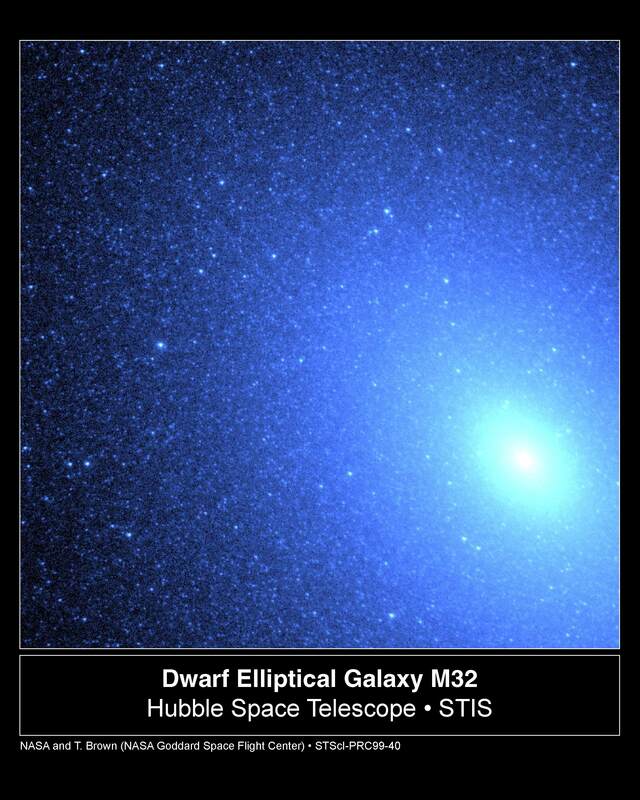 The HST images show that M32 is an interesting "laboratory" for testing theories of these massive objects. 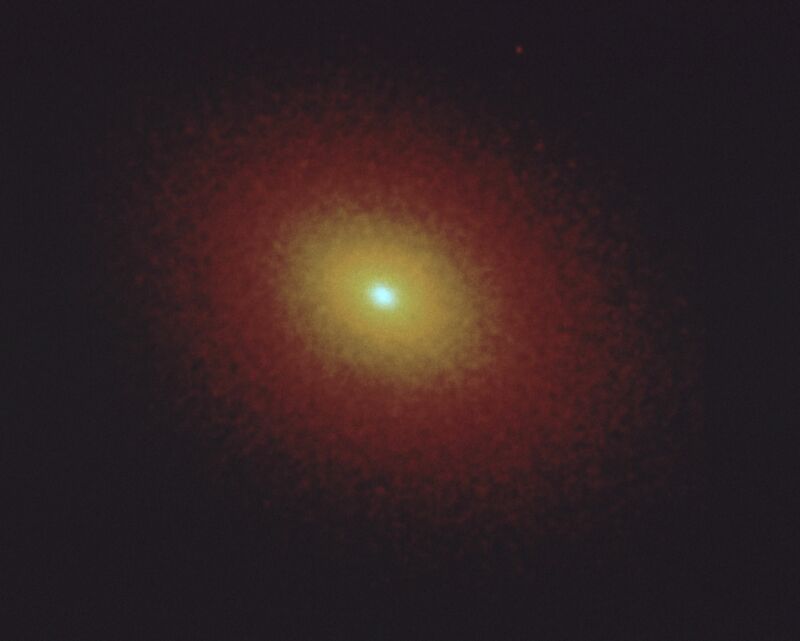 As announced on October 26, 1999, NASA Hubble Space Telescope's exquisite resolution has allowed astronomers to resolve, for the first time, hot blue stars deep inside the small nearby elliptical galaxy M32. 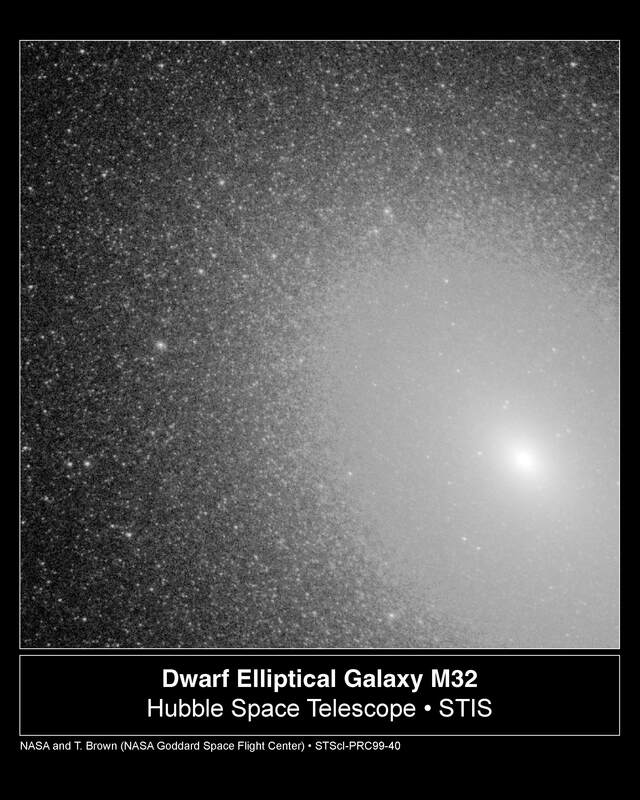 Images were obtaines with the Space Telescope Imageing Spectrograph (STIS) of a small portion near the center of M32, about 1/20th the diameter of the galaxy. With this observation, Hubble discovered that the ultraviolet light comes from a population of extremely hot helium-burning stars. About 8000 of these late-stage stars were found near the core of the neighboring galaxy, "resembling a blizard of snowflakes", as the Nasa release puts it.